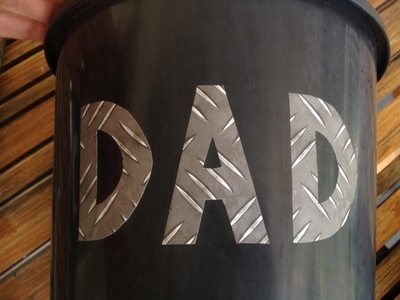 Here's a super quick and easy idea for a homemade Father's Day gift which costs very little. 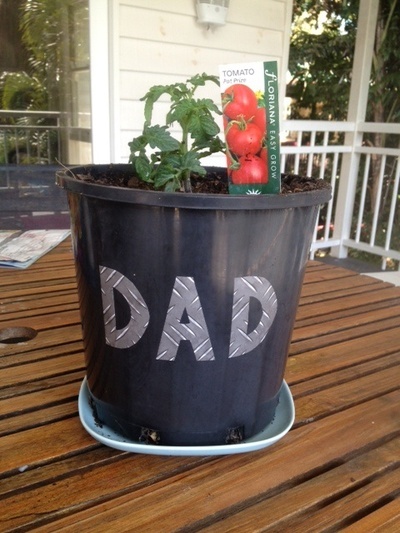 Decorate a personalized tub for a vegetable pot plant, such as a tomato or a chilli plant. 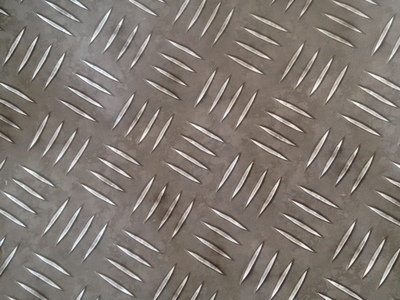 We found a rugged checker plate print sticky back plastic in our local DIY store (Bunnings) which was perfect to make some D A D lettering. 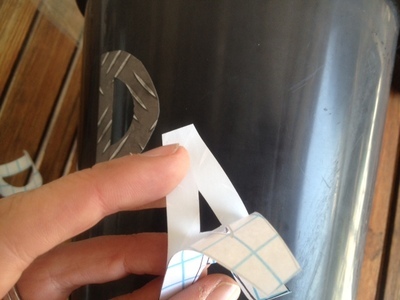 Draw D A D letters on the reverse side of the contact paper. If you want to do other letters you will need to draw them in mirror image. 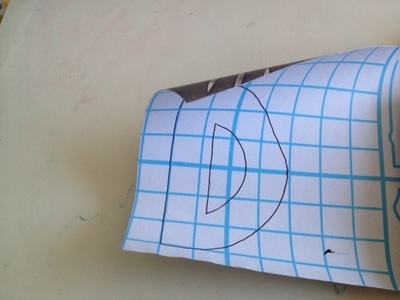 A's are easy as they are symmetrical and D's can be drawn normally on the paper side then spun around 180 degrees when you turn the letters over to stick on to the pot. Sticky back plastic is easy to use as it often has grid lines on the paper side which makes it easier to draw the letters out neatly. 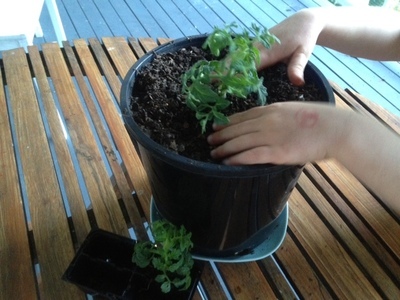 Peel off the backing paper and stick on to the plant pot. Voila! The pot is complete. 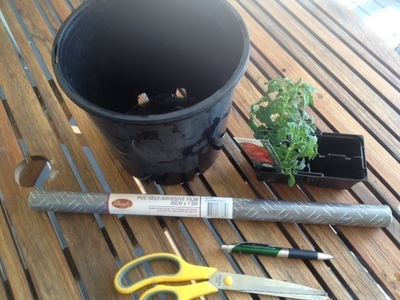 Fill with soil and plant yor vegetable pot plant. Keep well watered until Father's Day. 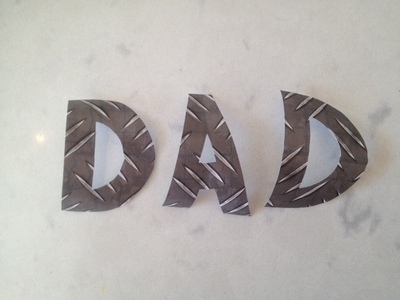 Why not make a Father's Day card to go with your present?